Fiona Duthie, an outstanding artist and felter, has been an inspiration to me. 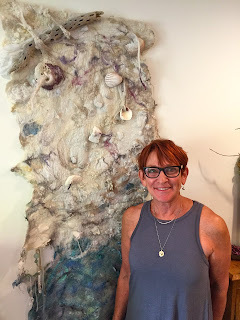 I learned so much from her on-line surface design felting course. Subsequent to the course, she generously continued to inspire us in a private Facebook group. Several months later she challenged the members of the Facebook group to participate in an online exhibition called "Peaks and Valleys". A few of my felted pieces were entered. You can read about the amazing exhibition below and see the whole collection HERE. Peaks and Valleys. Mountains and Plains, Crests and Troughs. Highs and Lows…..we have all experienced them, whether geographically or emotionally….and creatively! What could be a more appropriate theme in dimensional surface design than this! Explore the theme as literally or metaphorically as you wish. Alumni of the Surface Design Online course were invited to interpret this theme using one or more of the surface design techniques. Their work is wonderful and so very diverse. 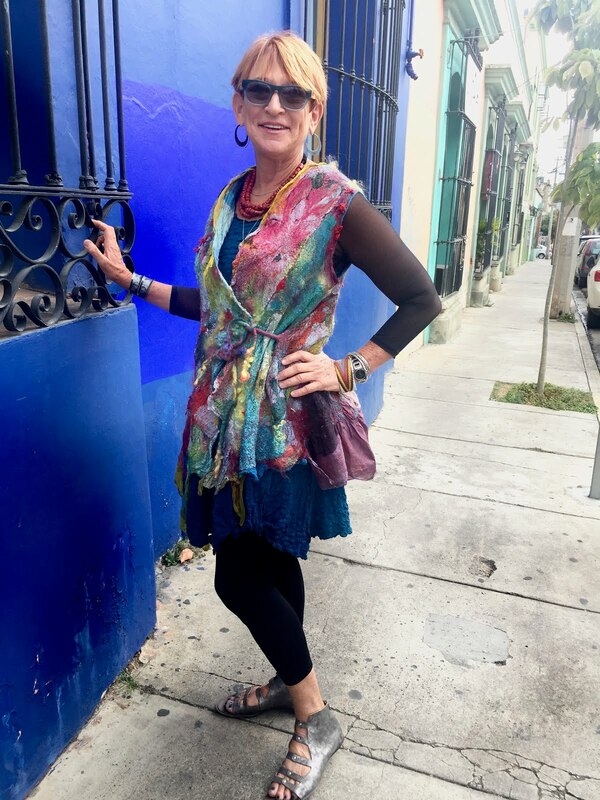 This is what impresses me most….that individuals take these techniques and use them in such creative and unique ways, both in interpretation and project.